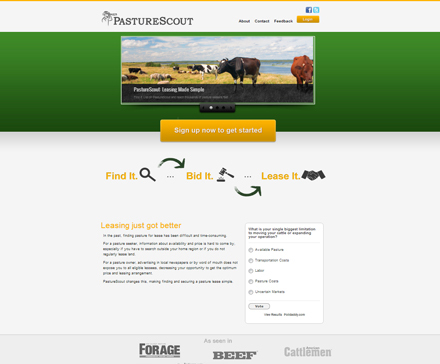 PastureScout was developed as a one-stop-shop for all of your Pasture and Forage renting needs; unfortunately, the creators of PastureScout are refocusing their attentions and have abandoned this project. 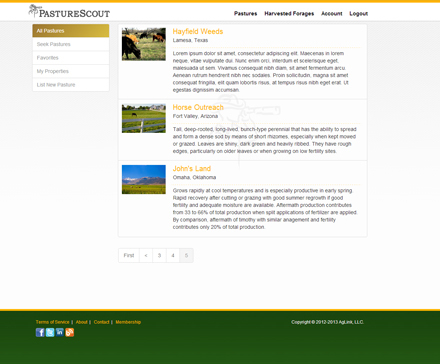 You can view a development version of the site below. 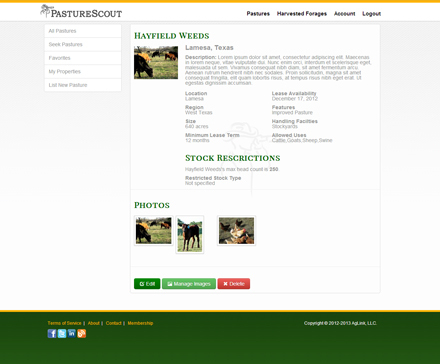 To login, you can use demo@world.com as the email and test123 as a password.